Home IT Is integrated business planning simply another buzzword? 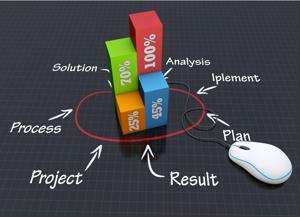 Is integrated business planning simply another buzzword? Creating a healthy balance between supply and demand isn't as easy as it sounds, especially when offshore supplier relationships and a complex distribution chain are added to the mix. The more dispersed business processes become, the more difficult it is for an organization to align its operational goals. For example, suppose an automotive manufacturing expert runs a spend analysis of how many tires the company will need to procure in Q2 2015. Because he or she did not coordinate with the enterprise's sales director, the assumption is made that factories will require 800,000 sets of tires. However, because the sales director expects demand to decrease in the second quarter of next year, the purchasing officer will unwittingly order a surplus of tires. Supporting these capabilities requires an intelligent foundation capable of recognizing discrepancies and making smart decisions. Sorensen noted many manufacturers believe they already use IBP implementations. However, there are some who translate the word "integrated" a bit too liberally, believing that throwing a simple set of S&OP and and EPM tools into the same infrastructure creates an IBP deployment. In actuality, this is hardly the case. Identify time-sensitive data and factor it into how it changes demand forecasts, benchmarking conclusions, etc. The smarter the system, the more succinctly strategies will be developed. For developmental reasons, creating, deploying and supporting an IBP solution in a cloud environment is the optimal choice. Sure, cloud computing has been surrounded with a lot of hype over the past year or so, but there wouldn't be so many discussions regarding the technology if people didn't think it was useful. Web-based: Whether from Google News or social media, the Internet can provide a lot of insight into how specific industries are changing on a weekly, or even daily, basis. This consists of unstructured and semi-structured information, which can only be stored in expansive, flexible infrastructures. Collaborative: Whether email or project-based, logging communications takes up a considerable amount of capacity, as well as network bandwidth. Analytics: As IBPs are smart systems, they require an enormous amount of processing power to perform at an optimal level. These sources are only three out of dozens of actions that produce more data and require a fair amount of computing power. Add this element with a company's need to customize its IBP solution, and PaaS appears to be the best option. According to WhaTech, such environments allow administrators to define security protocols, set up databases, develop software and manage networks. Of course, IBP users don't have to contract a cloud provider to receive the operational benefits. Pre-existing data centers can be modified into cloud infrastructures, delivering the same benefits as companies that offer the technology as a service.